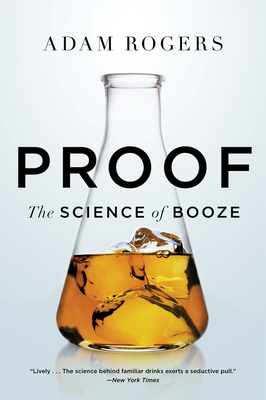 ADAM ROGERS is the New York Times-bestselling author of Proof: The Science of Booze, which was a finalist for the PEN/E.O. Wilson Literary Science Writing Award and won the IACP Award for Best Wine, Spirits, and Beer Book and the Gourmand Award for Best Spirits Book in the United States. He is a Deputy Editor at Wired, where his feature story “The Angels’ Share” won the 2011 AAAS Kavli Science Journalism Award. Before coming to Wired, he was a Knight Science Journalism Fellow at MIT and a writer covering science and technology for Newsweek.